Trimethoprim is a bacteriostatic antibiotic containing the active ingredient with the same name. It is used to treat cystitis but can also be used to prevent recurrent cystitis infections. Do you have an allergy (hypersensitivity) to trimethoprim? Have you previously been diagnosed with cystitis? Pain low in your belly (directly above the pubic bone). Any serious medical condition which may require immediate hospitalisation. Do you have kidney disease or are you having dialysis treatment? Have you been diagnosed with any blood disorder such as anaemia or folic acid deficiency? Do you understand cystitis symptoms should improve within 24 hours and resolve within 3 days of starting trimethoprim? If your symptoms don't improve within 48 hours you understand that you must visit your GP? What is Trimethoprim and what does it do? Trimethoprim works by prohibiting bacteria from multiplying and usually provides relief within a couple of days. Trimethoprim may be prescribed to patients suffering from cystitis. It may also be used to prevents cystitis from coming back if the patient is suffering from recurrent infections. Trimethoprim as an antibiotic may be licensed to treat other conditions not mentioned in this product description. This page is however focussing on trimethoprim as a treatment for cystitis. Is Trimethoprim suitable for my condition? Trimethoprim may be suitable for you to use as long as you are not allergic or sensitive to trimethoprim or have severe liver or kidney problems. Our doctors will determine the suitability of this medicine based on the information you provide through the medial questionnaire. If you are allergic to trimethoprim or any of the ingredients listed in the patient information leaflet. If you have a blood disorder. If you are taking any other medicines, including but not limited to rifampicin, anticoagulants, ciclosporin, digoxin, phenytoin, pyrimethamine or bone marrow depressants. Always mention any medicine you may take when filling in the medical questionnaire. What is the recommended dosage of Trimethoprim? You should follow the doctor’s instructions on how to take this medicine. The doses outlined below is for your reference only. The tablets should be swallowed whole with a glass of water. The recommended dose for the treatment of sudden cystitis infections is 200mg twice per day. The recommended dose for long-term treatment and prevention of recurrent infections is 100mg taken once a day at night. Does Trimethoprim cause any side effects? All medicines can cause side effects and trimethoprim is no exception. However, not everyone gets them. 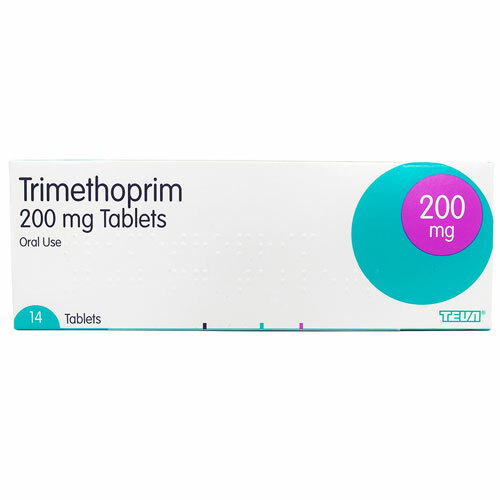 Side effects associated with taking trimethoprim include but are not limited to feeling or being sick, sore mouth, discomfort, muscle pain and headache. You should contact your GP or nearest clinic immediately if you notice any signs of an allergic reaction. Symptoms of an allergic reaction may include swelling of the face, lips, tongue or throat or difficulty breathing. Yes. Reading the patient information leaflet thoroughly before use can help reduce the risk of side effect. It is particularly important that you read through section 2 (“Before you take Trimethoprim 200mg Tablet”) to ensure you understand which medicines and conditions that can interact with trimethoprim. How do I buy Trimethoprim online? 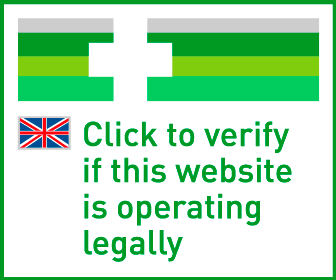 To legally and safely buy trimethoprim online you need a prescription from a GMC (General Medical Council) registered doctor. Our online doctor service allows you to request a prescription through a medical questionnaire. Take ONE tablet TWICE daily. Please always complete the course of tablets.